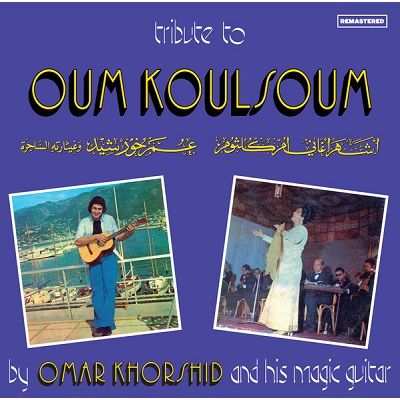 Om Kalsoum instrumentals played by Egypt's guitar hero Omar Khorshid who accompanied Farid El Atrache, Mohamed Abdel Wahab, Abdel Halim Hafez and so many ! He was famous in Egypt and Lebanon for incorporating Western instruments in Arabic music (electric guitar, keyboards). LP Originally released in 1975.